Let’s face it. 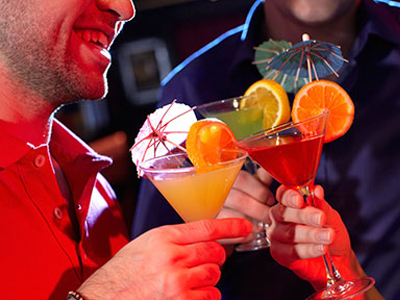 Cocktail parties are a blast – good company, great #OOTD and continuously flowing drinks. However, it may seem difficult to keep your diet intact with all of the delicious hors d’oeuvres in front of you. 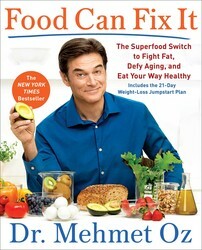 Mehmet Oz, author of FOOD CAN FIX IT, offers smart tips for navigating the hors d’oeuvres tray and buffet table. Those stuffed mushroom caps and salmon puffs look so small when you’re snagging them off a tray or buffet table, but they add up. Follow my tips to work a party the smart way. Bruschetta: Olive oil and tomatoes are a power duo. Just watch portions: If the toasts are open-faced-sandwich-size, I have only one piece. Cheese plate: A little bit is just fine; stick to a cube or two. And if you see grapes on the platter, grab ’em. Garnish or not, they’re fair game. Chicken skewers: Tasty and filling. A full serving of chicken is about the amount that would cover your palm. Chocolate-covered strawberries: Only about 50 calories a pop! Crudités: No one’s shocked when I put a big dent in the veg tray. (Also good: veggie skewers and olives.) If they come with dip, I keep it to two spoonfuls. Deviled eggs: True, they’re higher in calories than regular eggs, but they’ve still got protein and a vital nutrient called choline, which has been linked to brain health. Not really so devilish. Mini quiches: These offer nutritional benefits from eggs and a few veggies, but the buttery crust makes them more of a treat. Mixed nuts: Have a handful to fill up. Shrimp cocktail: High in nutrients, low in calories. Stick to six (or three, if you’re having another protein). Smoked salmon and cream cheese rolls: Heart-healthy salmon is always welcome on my plate, and I love this flavor combo. Now that you can successfully navigate the tray and table, add Mulled Wine to your cocktail menu.